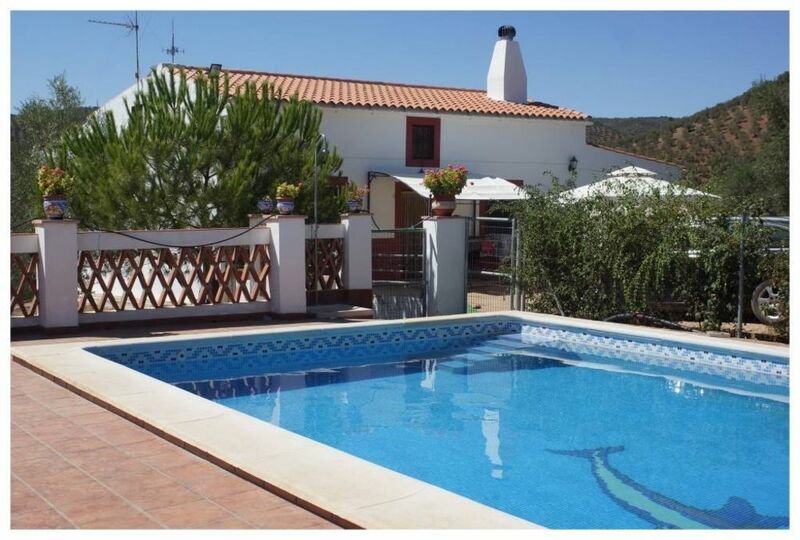 (Text automatically translated) Pure nature, Ideally located, Very peaceful, Tastefully decorated, Large terrace, in the heart of two nature, in the countryside. "We do appreciate the way our guests welcome us. The accomodation is really comfortable with a private swimmming pool. The site is a kind of island in an olive trees ocean." Nous ferons toujours de notre mieux pour rechercher la satisfaction de nos visiteurs. Nous vous remercions de la propreté dans laquelle vous avez laissé la maison. Bonne chance et bonne santé pour vous et les enfants. Nous serons heureux de vous accueillir à nouveau quand vous le souhaitez. El trato de José y Mari Carmen a sido de lo más cordial , se ve enseguida que son buena gente y que lo dan todo por vernos agusto. Hemos venido con un buen sabor de boca y si se da la oportunidad volveremos. Muchas gracias, Tomás y familia por vuestro amable comentario. Os deseamos todo lo mejor para el resto del año. Recibid un saludo cariñoso. Gîte agréable et fonctionnel en plein coeur des montagnes d'oliviers. Superbe vue sur les montagnes et sur la voûte céleste la nuit tombée. On apprécie la présence de 2 frigos et des moustiquaires à toutes les fenêtres. Belle piscine, propre, avec magnifique vue, grande dimension idéale pour les grands enfants/ado. Compter 1 h pour rejoindre le centre historique de Cordoue et 2h 15 pour Séville depuis la maison. Propriétaire charmants! Nice, clean and quiet. Truely recomendable. We had four wonderful days in the house of Carmen and Jose and recommend it warmly. We were kindly welcomed by Carmen and Jose at their house. The apartment was clean and tidy and were very well functioning for us four adults and two small kids. The pool were very nice. In one end it has stairs were we could play with the kids. The entrance to the pool were lockable. We spend a lot of time on the front terrace overlooking the hills and in the evening the setting sun and fantastic star sky. It can be recommended to do the catering at a supermarket before you arrive, as there are no larger supermarkets nearby. Prior to the stay the communication with Jose worked fast and perfectly. Er waren 2 huisjes, we zaten in San Antonio. Prima huis! Het huisje (San Antonio) was netjes en had alles wat we nodig hadden. Het uitzicht was fantastisch. Enige wat jammer was: het zwembad was nog niet open, pas in juni. Dit was ons vantevoren niet verteld. Verder alles prima verzorgd, aardige mensen, haardvuur stond klaar om aan te steken. Mooie wandeling gemaakt door de olijfboomgaarden. Entrega del 20 % al confirmar la reserva; el resto a la llegada del cliente. Tarifas decrecientes en función de la duración, entrega de llaves realizada por propietario, propietario ausente durante la estancia.